Homes are renovated a number of times during their lifespan. Although we can regard each of these renovations as new, it is more prudent to implement a future-proof solution to renovation. Current renovation practice focuses on renovating to meet current demand. Many of the renovations are still extremely labour intensive and occur on site. This results in solutions to ensure that the house once again meets the required standards in the short term. These standards will continue to change in the future, however. Our homes will continually require renovation. The question is how we can arrive at solutions that do not impede these future renovations, and implement future-proof solutions that can be applied to a large percentage of housing stock. 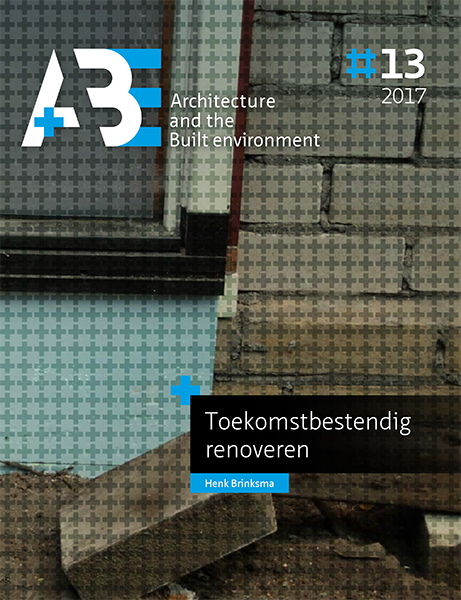 This study defines future-proof renovation as follows: “Future-proof renovation is renovation that at the very least incorporates solutions that do not impede future renovations and preferably increase opportunities for renovation”. The purpose of this study is to gain an insight into how future-proof renovation solutions are for homes built between 1975 and 1991 that are currently being carried out or offered on the market. The study adopts a primarily architectural viewpoint to examine the hypothesis that we first need to be aware of what is architecturally possible and relevant, before it makes sense to answer any further questions. What perspective do available renovation concepts offer housing with respect to futureproof renovation? In order to answer this question, this study focuses on developing and applying a method of analysis for these renovation solutions in order to identify the distinctive characteristics that increase the future sustainability of renovation solutions and to evaluate the usability of already developed future-proof renovation solutions for this part of the housing stock. This included seeking inspiration from housing designed using the principles of the Foundation for Architects’ Research (SAR). These homes are constructed according to the support and infill system (SDI homes). This makes it possible to carry out renovations to the infill while the supporting structure remains unchanged. The occupants can then change the infill continually.